Today’s map compares state beer excise taxes. 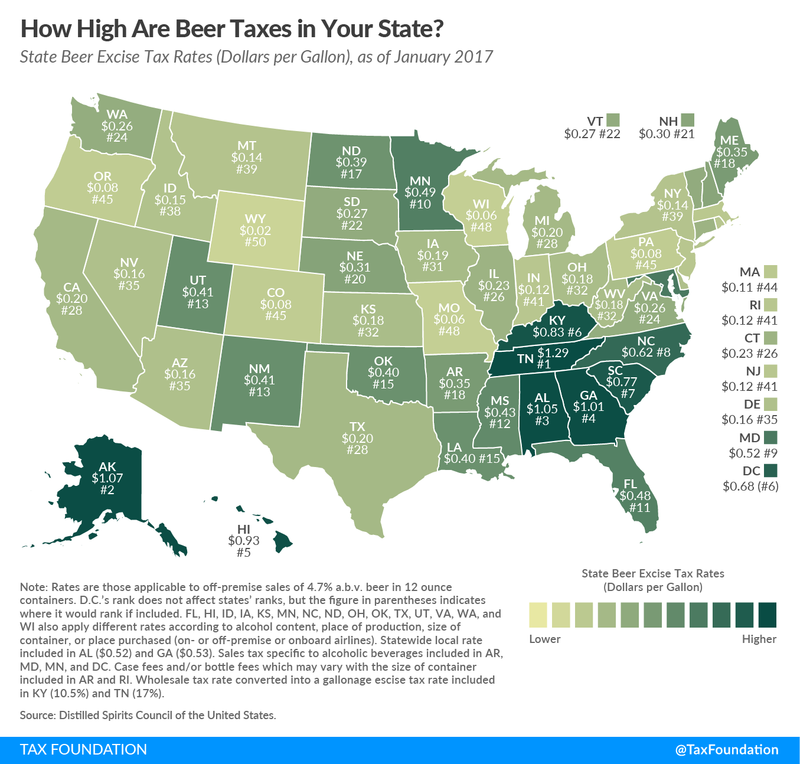 All fifty states and the District of Columbia impose some tax on beer above and beyond the general sales tax, and these taxes are frequently responsible for an outsized share of the prices paid by consumers. Every few years, someone comes along to claim that beer “gave us civilization.” (And then someone else comes along to say that it was salt, or milk, or, you know, a whole lot of things.) What we certainly can say is that beer goes back a long way, and that beer taxes weren’t far behind. Cleopatra is often credited with (or blamed for, depending on your point of view) imposing the first beer tax, ostensibly to discourage drunkenness, but probably to finance her wars. In ancient Mesopotamia, by contrast, taxes could be paid in beer. By medieval times, the French city of Aix-la-Chapelle was ordering the hands cut off brewers who neglected to pay their taxes, while in 1764, the British first extended beer taxes to the American colonies. So began a long history of taxing alcohol in the United States, but one that would have to wait to take hold. After the colonial era, neither the states nor the federal government imposed excise taxes on beer until one was introduced to help finance the Civil War. In time, taxes on alcohol came to represent some 30 to 40 percent of federal collections. Without the federal income tax (adopted in 1913) as an alternative source of revenue, Prohibition would have been prohibitively expensive for the federal government. After the repeal of Prohibition, many states adopted “control” regimes in which the state exercised a monopoly over some or all alcohol sales. Other states simply chose to regulate and tax alcohol, often heavily. Traces of the original purpose—both in Cleopatra’s Egypt and post-Prohibition America—of discouraging drunkenness remain evident in state alcohol laws, but by now, most excise taxes on beer are revenue measures first and foremost. As “sin taxes” go, very little time is spent worrying about the “sin,” while there is far greater interest in sin’s proceeds. State and local governments tax beer in a variety of ways. Some impose fixed per-volume taxes, while others adopt wholesale taxes, expressed as a percentage of the product’s wholesale price. Some states tax distributors (either through license fees or on their revenues), while still others levy case or bottle fees. Some states even have a special retail tax on alcohol above and beyond the general sales tax. 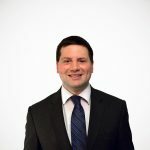 The Beer Institute, an industry trade group, argues that “taxes are the single most expensive ingredient in beer, costing more than labor and raw materials combined,” citing an analysis that finds that the sum of taxes levied on the production, distribution, and retailing of beer exceeds 40 percent of the retail price. Expressed in dollars per gallon, beer taxes range from $0.02 in Wyoming to $1.29 in Tennessee. How does your state compare? Do U.S. Craft Brewers Need a Tax Break to Compete with E.U. Craft Brewers?